This month has been so busy and off blogging wise for me too, so I understand! Hope you're having fun on spring break! 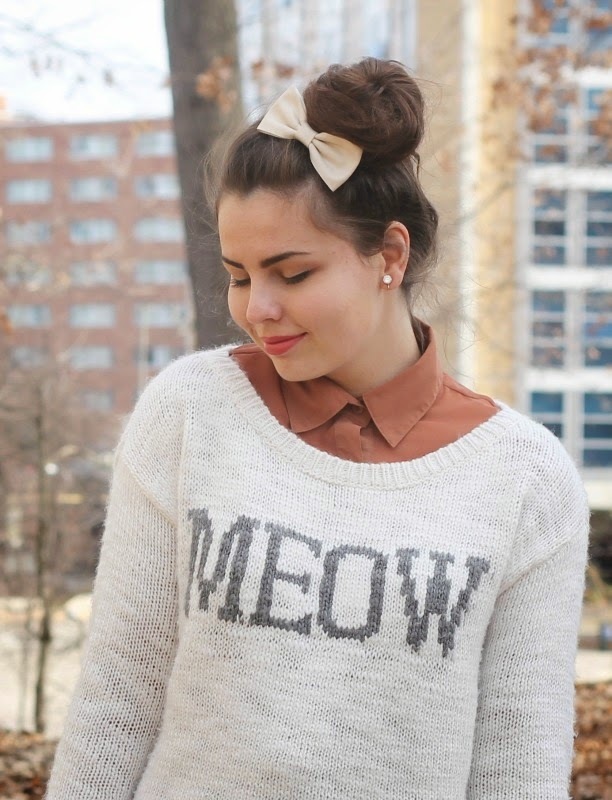 Also this outfit is very cute with its mix of neutral colors. 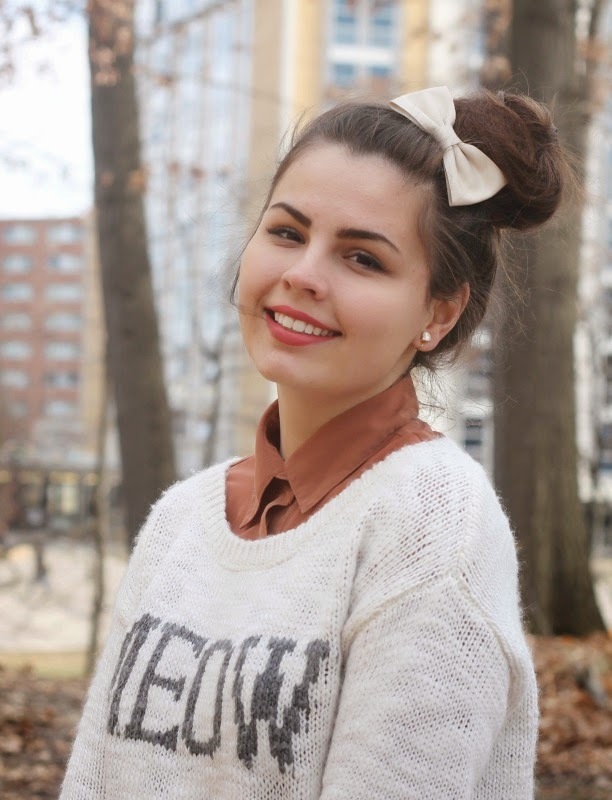 I'm loving that sweater! You look lovely! Take care! 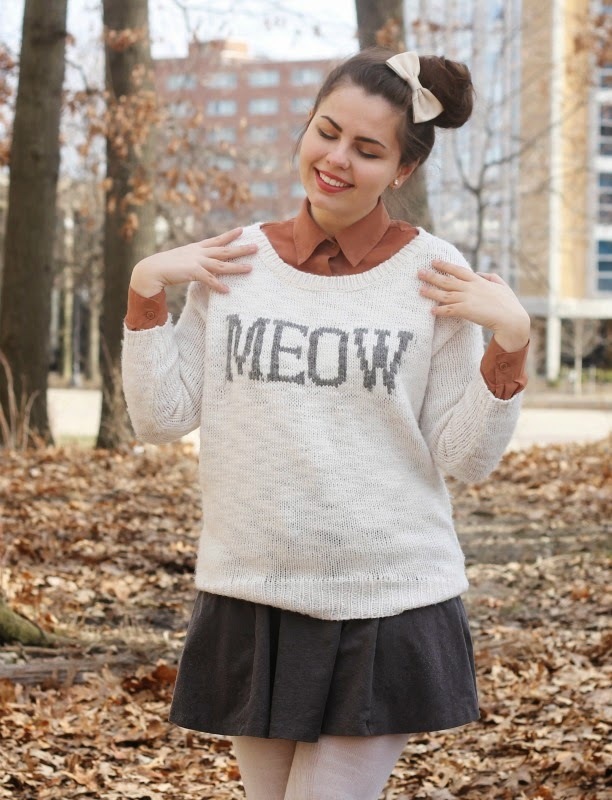 Your "meow" sweater is so cute!